Fantastic Furniture launches Wiggles bedroom range! 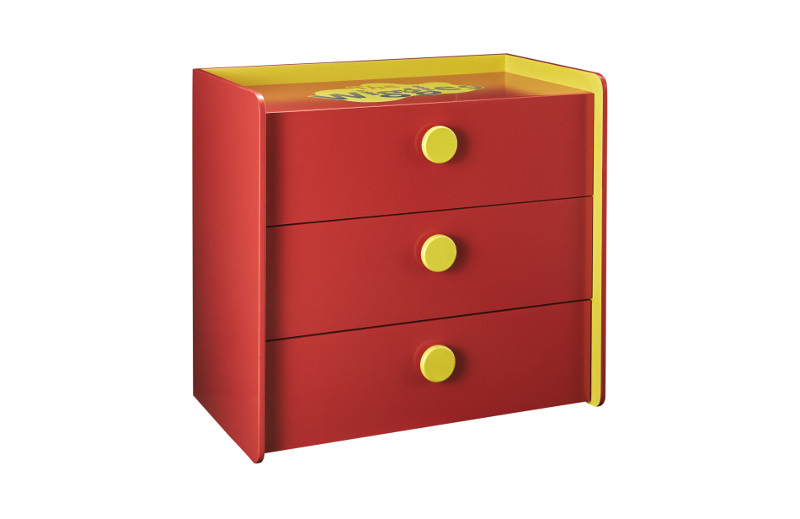 If you have a little Wiggles fan in your home, best make tracks to your nearest Fantastic Furniture. 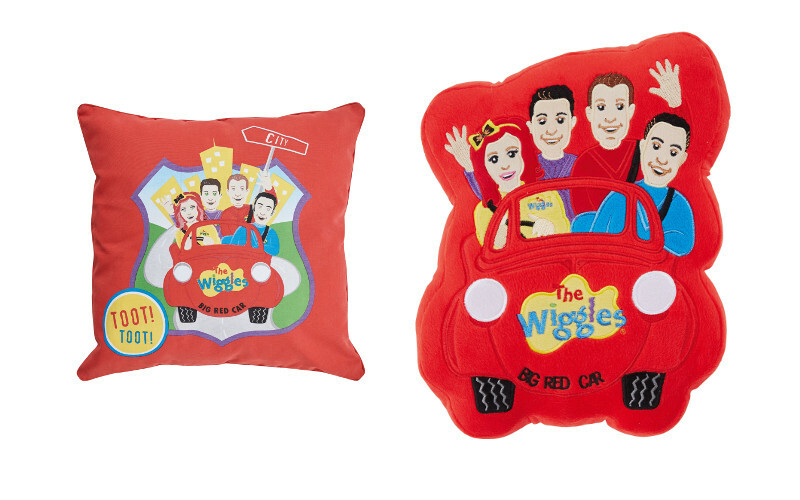 New Wiggles furniture and bedroom textiles have just been released in every store around the country, and we’re pretty sure this ripping range will be flying out the door faster than the Big Red Car! This has to be one of the happiest collaborations of the year – The Wiggles joining forces with Fantastic Furniture, to create a fun, bright and affordable range of furniture for children. The range was revealed at each of Fantastic Furniture’s 74 stores across Australia yesterday, prompting a nation-wide Wiggly Party! There’s no mistaking the iconic Big Red Car, which forms the centrepiece of the range, as a very cute single bed. 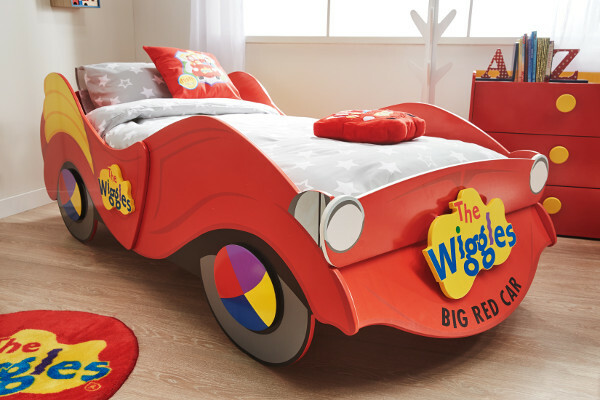 The Wiggles Bed is a real showstopper, and is sure to put an end to bedtime battles – who wouldn’t want to drive away to the Land of Nod in the Big Red Car? It looks just like the real thing, and has beautifully curved edges and contoured sides, all aimed at keeping kids cosy. The Big Red Car bed retails for $399. 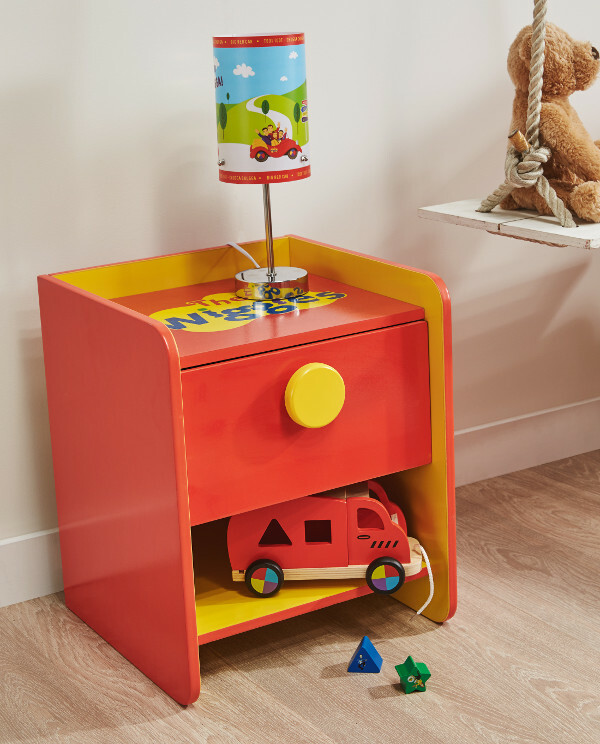 There’s a handy Wiggles Bedside that goes perfectly with the Big Red Car bed, giving quick access to necessities. There’s been a great deal of thought put into this unit – the large handles aren’t just cute, they’re designed to be easy-grip for little hands. The raised edge on the top of the unit is aimed at avoiding knocks and spills, and there’s an open shelf underneath that’s a nifty little nook for books and toys. The Bedside is priced at $99. If storage is what you need, this range has you sorted, with the Wiggles Lowboy ($269). The three generous drawers will keep clothes neat and tidy, and this unit also features a raised edge so things don’t slip off. To finish the Wiggly look, Fantastic Furniture has also included some textiles in the new range, including comfy Wiggles cushions. Each of The Wiggles makes an appearance, as well as the Big Red Car, and they work perfectly to help finish the look, from just $18. Pair it with a Wiggles Rug ($30) and you have the makings of a cosy little Wiggles reading corner. Finally, Fantastic Furniture has also created a Wiggles Lamp, to create just the right night-time ambience in a rather wiggly room! It’s priced at $30, and the sturdy metal base and easy on-off switch are designed with small children in mind. The range has already proved incredibly popular, so either pop into your nearest Fantastic Furniture store to see it in person, or you can order online.